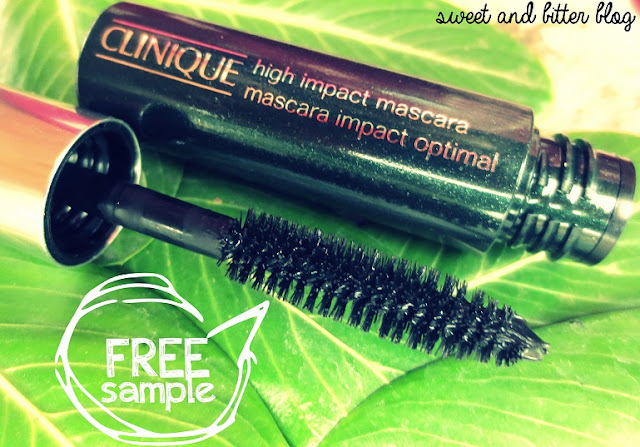 I was very excited from the day I got to know that Clinique is giving a free mascara sample in exchange of any old mascara. Because, I end up changing my mascaras in few months, I was not sure I will be able to give any mascara to them. But, finally, I gave them my most used mascara to get this. First Impressions - If you like Maybelline Colossal Volume Express mascara then you might love it as well. This one does not give a dramatic lift to lashes but surely enhances them. Offer ends on 31st May '13 so, HURRY! And I found that few people have the impressions that they can get ANY mascara from Clinique but its not true. You will get the Clinique High Impact Mascara. This I think it is a new launch and the SA was raving this. Hey! This is not a new launch, I had had it sometime ago. From where did you get it exchanged? I live in Delhi. I got it exchanged in Kolkata Forum. i have this from long time .. idk but i love it better than any drugstore brand.. I got the same one too :) They showed me another one from the same range, but I picked this one. hi5! Glad to know that you got more options. Which store was it?